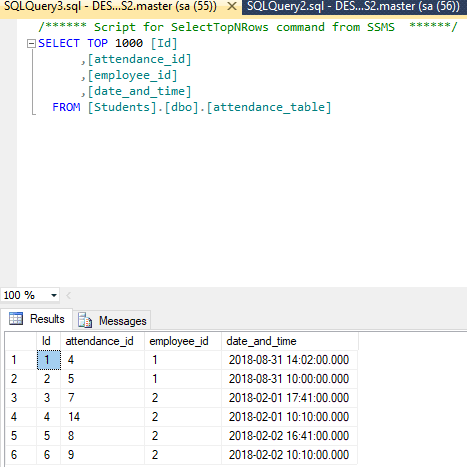 How to compare two dates in C# and get IN & OUT time of employee? Below is my table. I want to compare between two dates which have the same employee_id. It's an attendance system. Suppose according to the table, for employee_id =2, in time is 10:00:00 and out time is 17:41:00. Now how can I show in Index view that which one is intime of an employee and which one is outtime of an employee? 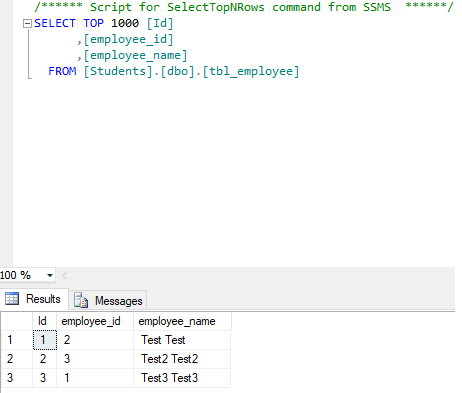 You can see in the above example we have "Test Test" employee has 2 different date and different data for IN/OUT time. I have explained the code in the comments and it works for me. This is my Table in the view. I want to show InTime and OutTime written beside every Time_and_date column row.